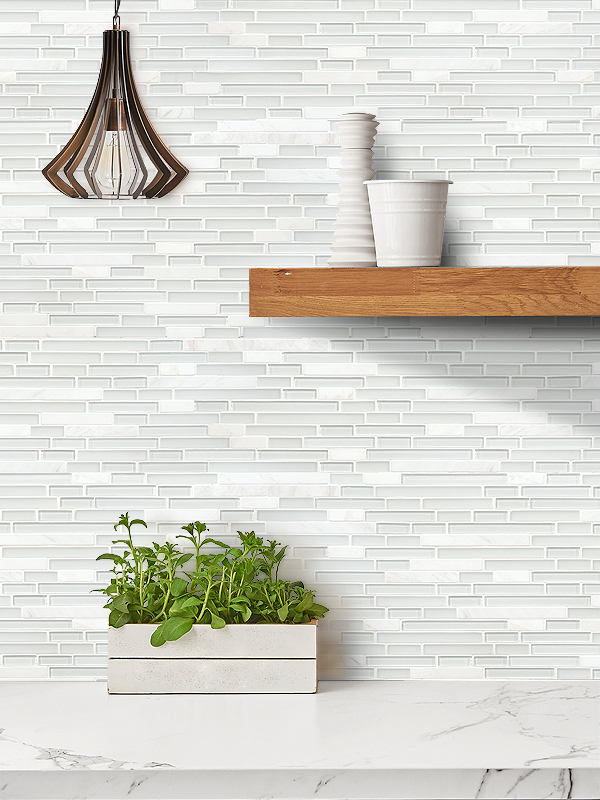 Elegant white marble glass kitchen backsplash tile mixed comes with a polished and matte finish, which enhances its beauty white at the same time giving a blast of elegance that makes the kitchen homey and relaxed. The white glass marble mixed backsplash has few gray veins, which makes it highly decorative and ideal for any home upgrading. You can use the outstanding material with different colors and materials for gorgeous results.